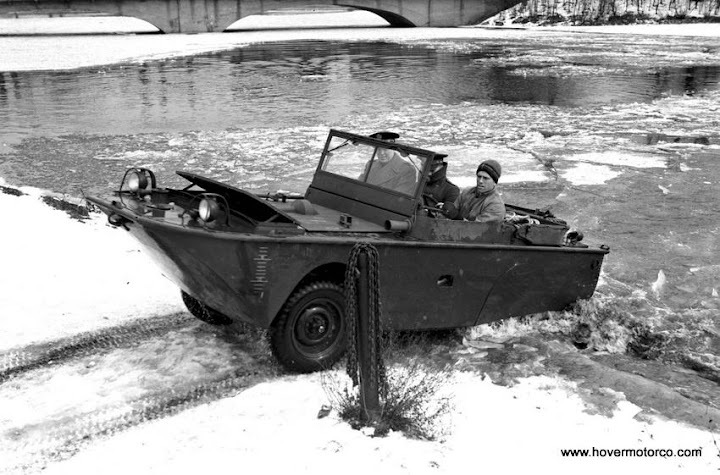 HOVER MOTOR COMPANY: Stuck in the snow? 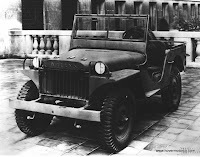 How about a Jeep?! Stuck in the snow? 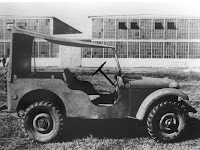 How about a Jeep?! Well, the weather is pretty nasty around Kansas City. We don't exactly have ideal conditions for cruising around in the ol' '32 Ford Highboy. But hey, there is at least one old vehicle that was made for this stuff. 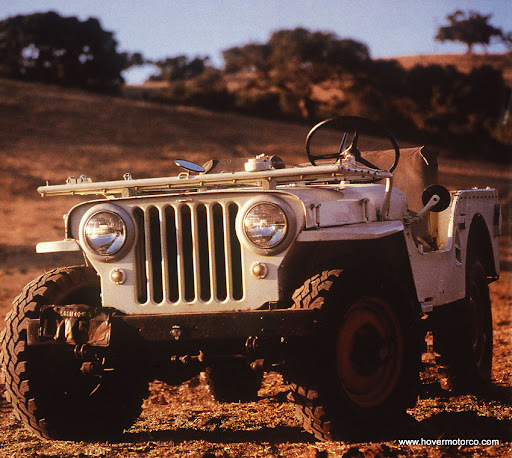 Let's take a look back at the history of one of the most popular off-road vehicles ever made. 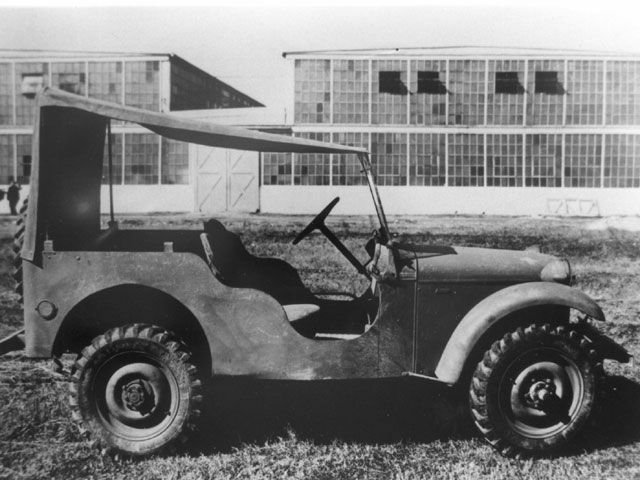 The Willys-Overland version would eventually become the Jeep we know and love today. They built 368,000 of them. 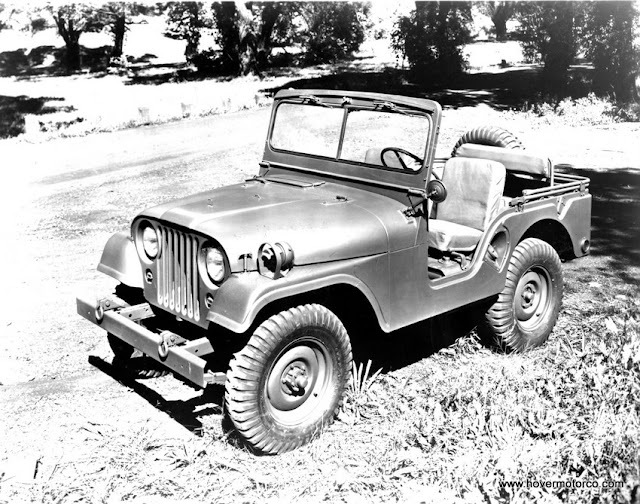 They trademarked the name “Jeep,” and eventually set out to produce and market them for civilian use. Where Ford used their vehicle as another cog in the war machine, Willys-Overland looked at it as their business for years to come. Kaiser was purchased by American Motors in 1970. 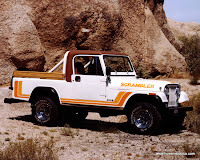 In addition to the venerable CJ-5, a longer CJ-7 was introduced in 1976, and a really long, almost pickup-like Scrambler came on the scene in 1981. These have been gone for years, but there are still companies out there that will build you one custom--for close to $100,000. 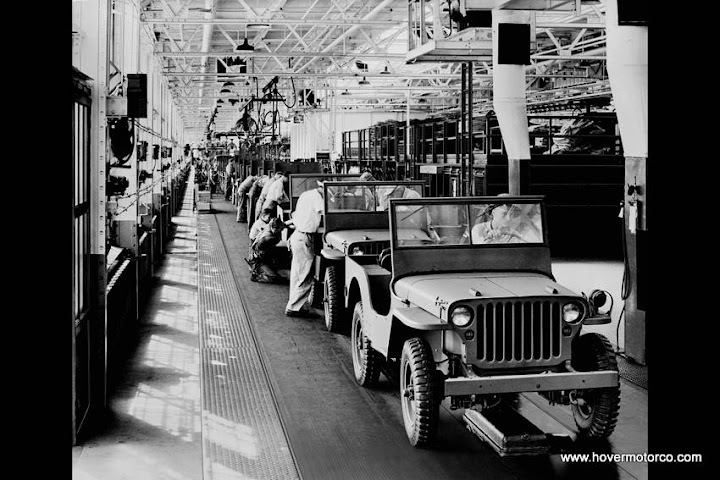 Are they popular enough to someday make a comeback from the factory? Stranger things have happened. 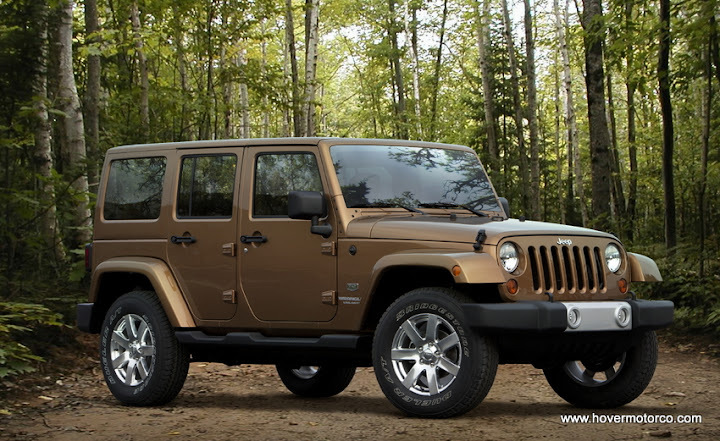 Chrysler has been updating and massaging the Jeep Wrangler ever since acquiring the company in 1987. 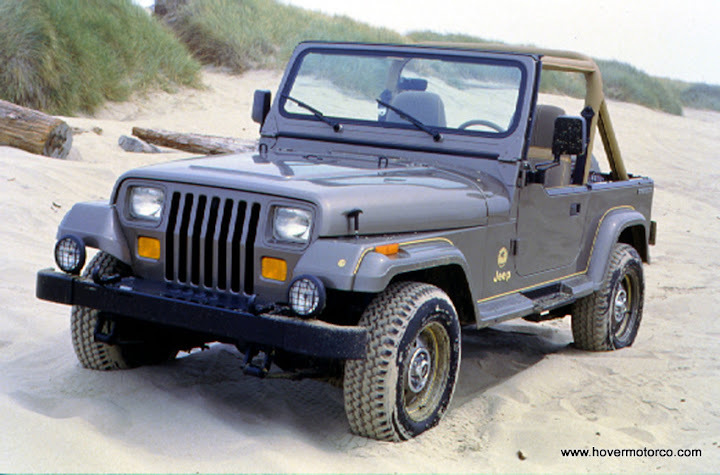 Today’s Wrangler is still a very crude vehicle relative to most new cars and trucks, but legions of fans still appreciate it for its superior off-road prowess and high fun factor. 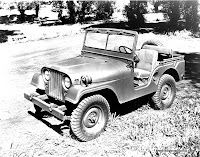 My best friend's Dad had and old military jeep in the 60's like the one pictured.Looked like the Willey's Overland. We would get in it and try going up the side of a mountain. Kind of scary when my friend would try and shift and it would slip backwards down the mountain. I should add the mountains where all in Colorado. One might also contend that the Scrambler did indeed come back as the "LJ" - or the TJ Unlimited. Those too have begun to reach cult status and are fetching silly money at present. 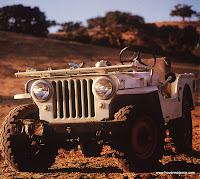 Not as silly as the AEV Brute conversions alluded to, but still nuts for the age and miles most have. 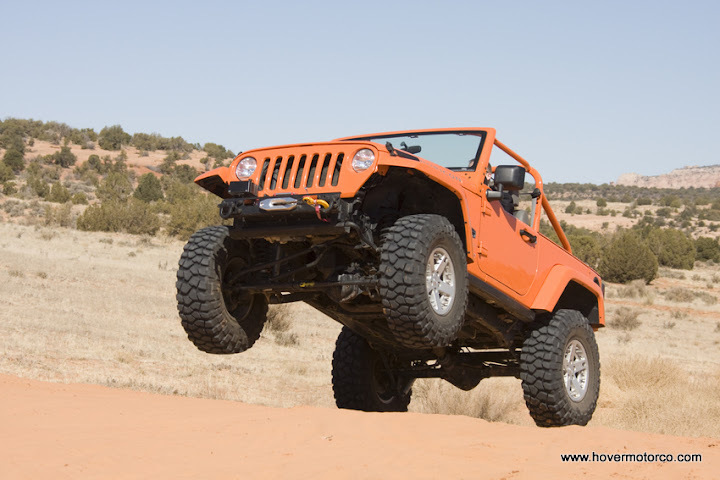 In their defense, they do feel significantly more stable - especially lifted- at highway speeds than a standard Wrangler. And they look cool. Wow Craig, I guess you've finally 'made it' when your site gets enough hits to attract the spammers with impeccable English... :) Congratulations on your popularity! Yeah, the spam is getting out of control. I'm going to have to change the settings a little as far as who can reply on here. You try to leave things open for everybody, but then there are always people out there who ruin it.